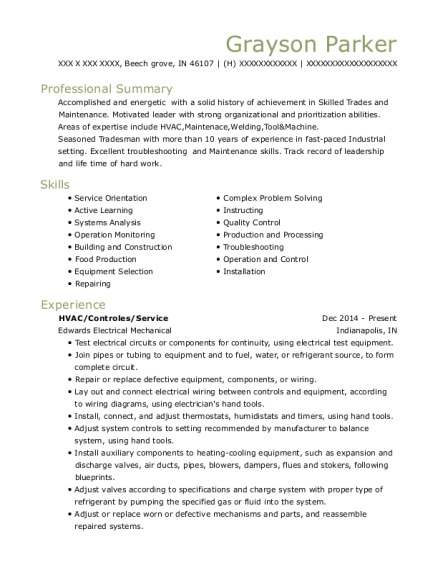 Repair or replace defective equipment parts, using hand tools and power tools, and reassemble equipment. Clean service or seating areas. Check temperatures of freezers, refrigerators, or heating equipment to ensure proper functioning. Provide customers with product details, such as coffee blend or preparation descriptions. Set up or restock product displays. Prepare or serve menu items, such as sandwiches or salads. Order, receive, or stock supplies or retail products. 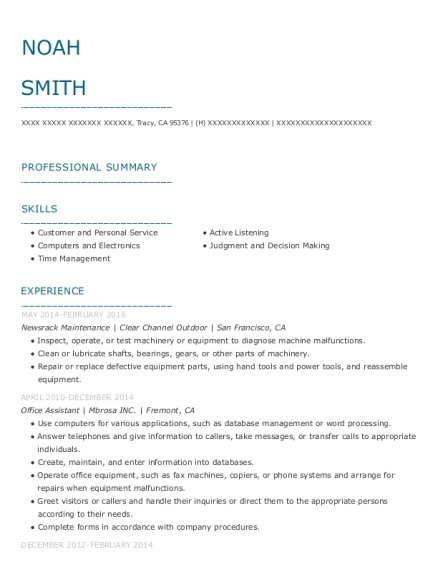 This is a resume for a Newsrack Maintenance in Tracy, California with experience working for such companies as Clear Channel Outdoor and Mbrosa INC. 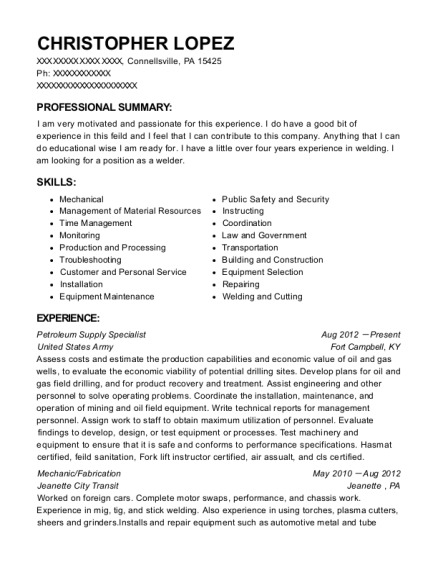 The grade for this resume is 0 and is one of hundreds of Newsrack Maintenance resumes available on our site for free. 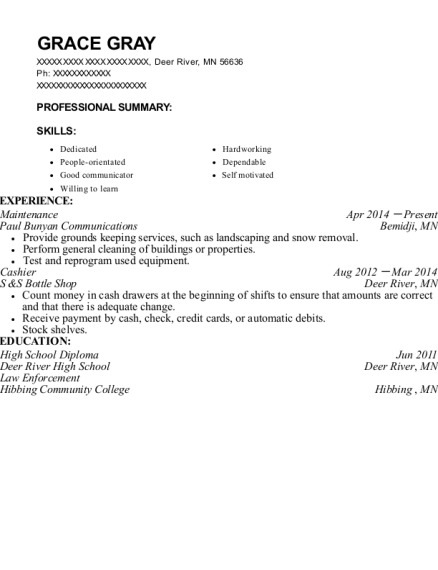 Use these resumes as templates to get help creating the best Newsrack Maintenance resume.